Heating and Air Conditioning an HVAC company in Monticello, MN. 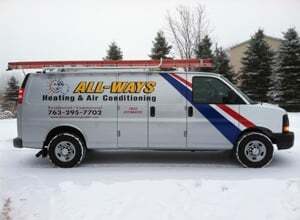 Since 2002, All-Ways Heating and Air Conditioning, Inc.'s owner Joe Taylor has been putting his 25 years of experience to work for residential and commercial customers in Monticello, MN. We are a registered dealer of quality and highly-efficient Bryant products completely staffed by NATE-certified and Bryant factory-authorized technicians. With our 24-hour emergency services, we can be out to you no matter the time of day or night. All-Ways Heating and Air Conditioning, Inc. will be happy to provide you with an estimate for our services, so contact us today. 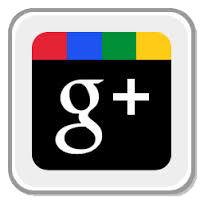 Also, ask about the warranties and guarantees we offer on select products and services, and our discounts for senior discounts. Review: Joe has done my furnace work for years. He provides great, professional work at a fair price. Review: Joe is the best! Our heat wasn't working and he came out to fix it about an hour later. I ended up having a second issue with our heat and Joe was so great the first time so of course I gave him a call right away. He came out within 15 minutes, and it was 7:30 at night. Super professional, friendly, and fast. He's now my go-to guy with anything HVAC related. Thanks Joe!!!! Review: All-Ways Heating & A/C was able to provide us with furnace inspections when selling our home. They were able to replace our A/C unit at an honest price and they back up their products. We highly recommend All-Ways Heating & A/C. Review: All-Ways Heating & A/C was prompt and professional in responding to our business on very short notice when our A/C went out. Joe quickly diagnosed the problem, and made the extra effort to communicate with the electric company on our behalf to help restore proper service as quickly as possible. He made several trips to make sure that the system was working properly, and stayed in communication with us throughout the entire process as we were out of town when the issues occurred. Thank you Joe Taylor and the rest of the crew at All-Ways Heating! After utilizing All-ways services for 3 years for emergency service when my heat has gone out numerous times over the winter I was confident in my choice to have them replace my boiler. The guys did great work. They are very respectful of the home they are working in and great care is put into every detail of the work they do. For this big project I had quotes done by a total of 7 companies and All-ways was fairly priced in comparison to the other companies. They provide financing options and make paperwork simple for the client. While I hope to not have to do any large projects like this any time soon I will utilize All-Ways for all my future needs. I am extremely happy with the improvements made to my heating system and to my unfinished basement. I cannot thank All-ways enough! All-Ways Heating and Air Conditioning, Inc. Copyright © All-Ways Heating and Air Conditioning, Inc., 2018. All rights reserved.